For individual brides with individual style. At Silk Brides on the Gold Coast we understand that shopping for your wedding dress is an exciting experience. We would be delighted to share in your big day - and will assist you every step of the way. At a Silk Brides bridal appointment we will give you our undivided attention. Our studio is relaxing, welcoming and private. There is plenty of space to bring along your other bridal party members. You have found 'the one' you are destined to marry - now find 'the one' wedding dress of your dreams. All our gowns are 100% original in design. Every garment is made in house. Make an appointment to view our exclusive range of ready to wear wedding dresses and couture bridal wear. We look forward to seeing your soon. Silk Brides owner Elena Wille is a renowned designer and dressmaker of stunningly beautiful and elegant wedding dresses. Elena can create a unique wedding dress to suit your individual style or interpret your designs form sketches or photos. 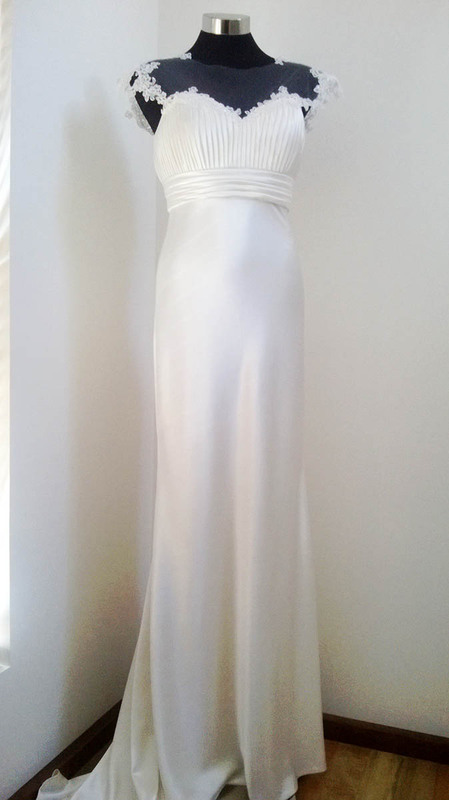 Every Silk Brides gown is wonderfully wearable and designed to fit comfortably. At Silk Brides, we do not have a production line. We are a small, Gold Coast based team of highly trained design and wedding style consultants, cutters and seamstresses who are dedicated to making the most important day of your life a memorable success. Silk Brides offers a range of services to suit every client. In addition to our exclusive 'ready to wear' range of wedding dresses, a complete couture service is also available. Our complete couture service begins with a personal consultation. Style preferences are discussed and fabric samples viewed. From this a unique wedding dress design is developed to suit your individual style and flatter your individual figure. This design is then turned into reality. Every stitch is lovingly handcrafted in our studio. We guarantee a perfect fit. Our 'Made to Order' wedding dresses are created where customers provide complete instructions regarding the dress design. In this instance we are provided with detailed sketches or photos of the chosen style and no design work is undertaken by us. Shopping for your wedding dress can be a little stressful, but it need not be. Help is at hand - here at Silk Brides! Please view our collection online and contact us for an appointment.